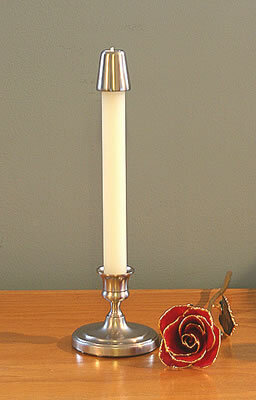 Our small Concord Colonial Candlestick measures 2-7/8" high X 3-1/4" base. Beautiful displayed alone, or in a group, the pewter plating is lacquered to maintain its luster, the base is felted to protect fine finishes. This candlestick weighs 10 ounces. Candle follower sold separately. Candle Followers may be ordered by going to our Candle Follower page or by clicking here on Candle Followers. Purchased 2 candelsticks for my newest dgt-in-law for Christmas. I am impressed with the quality and appearance. Plus the weight is hefty. I liked the storage bag for the candlesticks - nice touch. Easy to do business with you and shipping was fast. Thank you so much! 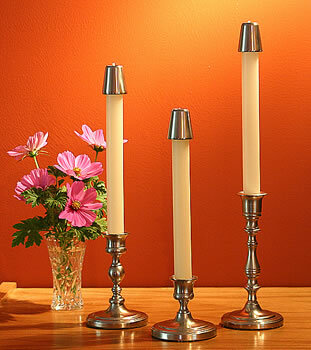 Beautiful Pewter candlesticks for a classy look on your dinning room table. 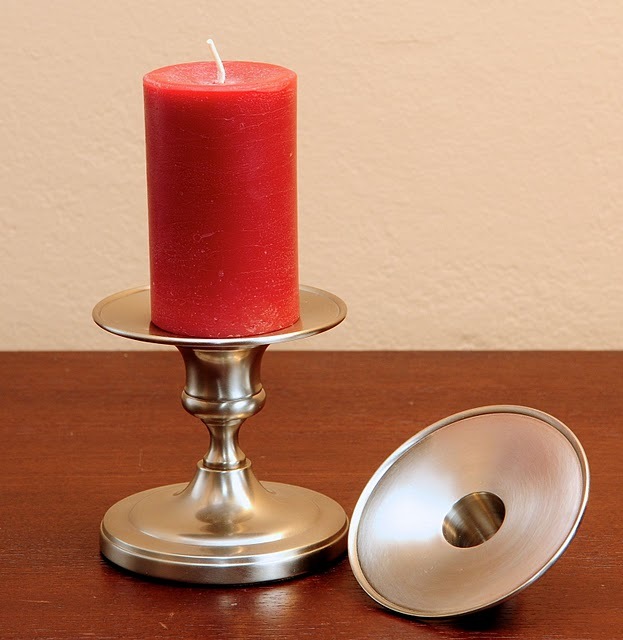 This elegant candle holder is perfect with regular wax tapers as well as with Luminara real flame effect candles. Exactly what I have been looking for for dinner table candlestick holders. The pair is going to make a perfect shower gift. The delivery and customer service communication was excellent. Product arrived in record time and packaged carefully. The set was perfect! Thank you! 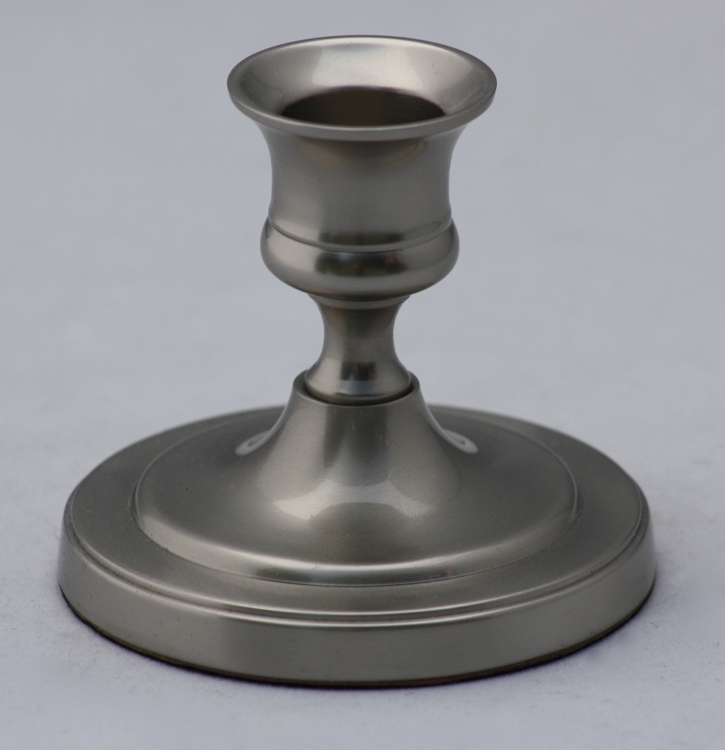 This popular candle holder is also available as part of a three piece set, with the matching 1005P and 1007P candlesticks. The view the set, please visit our Candlestick Set page, or click here on Concord Candlestick Set.